"He knew he was in the presence of two Eldila.... "Look on him , beloved, and love him", said the first. "He is indeed but breathing dust and a careless touch would unmake him." "
Crouched at the edge of the road (&, yes, paying attention so as not to get run over! 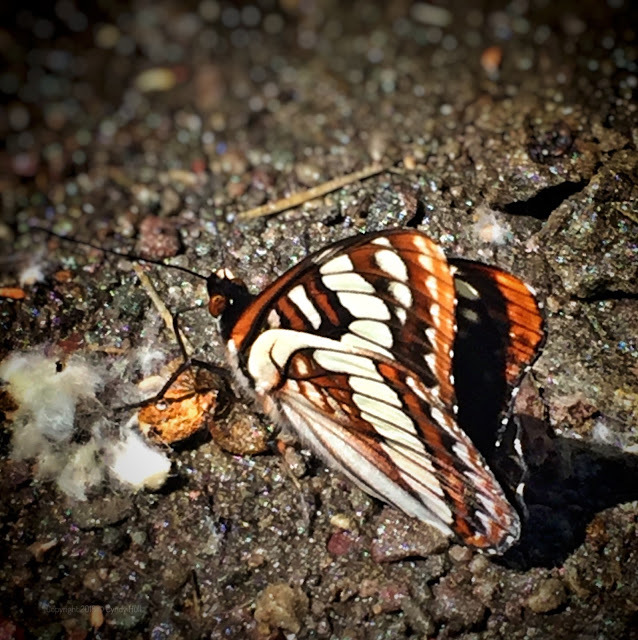 ), I think, "How much more fragile are we, with all our complex internal systems grounded in original dust, than this tiny, intricate winged creature come to rest on the edge of a mud puddle? ".